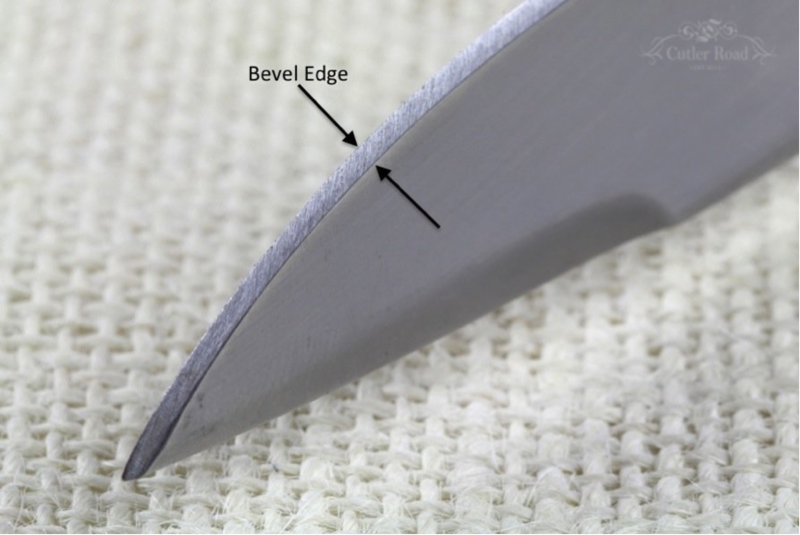 The benefit of having a sharper edge is that less effort is required to move the knife through the material you are cutting, and more control and precision is achieved. This can be particularly useful when preparing food, filleting fish, field dressing animals, or doing any other knife work that requires some dexterity. While it is difficult to measure these angles accurately at home, a good result can be achieved by taking the factory-set bevel and reducing that slightly. To do this, rock the knife edge on a sharping stone and feel the angle of the current bevel. Lower the edge slightly and lock your wrist at that angle, feel the position and concentrate on holding it while you sharpen your knife. There are two different sharpening techniques shown on the video. I prefer a combination of the circular pattern, which removes steel fast, and the traditional forward and backward motion to finish. Thank you for this very useful information. I think the Pocket Knives are not only effective and sharpening but also helpful in our daily life. Thank you very much for sharing these tips. That video was really great. We always need to keep the knife sharp. Though, its short tips but you have provided a great value in the article. I try your suggestions on plain edge knife it works good but for the serrated edge, it really hard to do. Would please write an excellent article for sharping a serrated edge knife.